October 29, 2018. Director of GC RAS, Academician Alexey Dzhermenovich Gvishiani, an internationally recognized expert in the field of mathematical geophysics, seismic hazard assessment, geoinformatics and system analysis of data, celebrates his birthday. 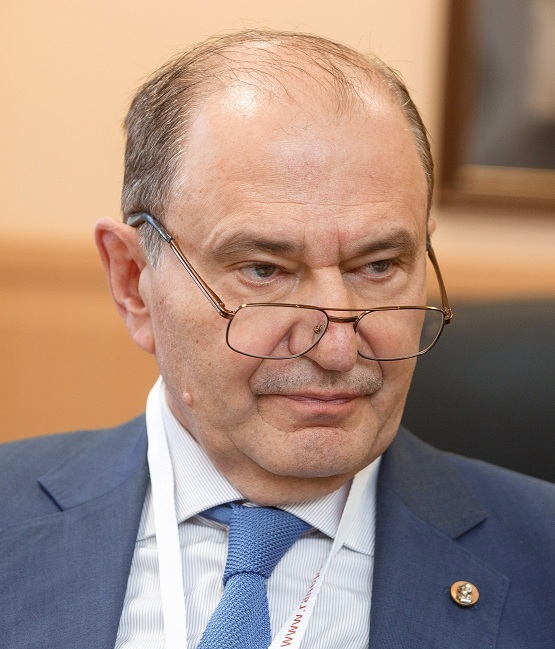 His successes in science and social activity are deservedly marked by high ranks of academician of the Russian Academy of Sciences, a member of the European, Ukrainian and Romanian Academies of Sciences, many Russian and international awards. High professionalism and inexhaustible diligence of Alexei Dzhermenovich, who has brilliantly led the Geophysical Center for more than 13 years, invariably strengthen the status of the Institute as one of the most important institutions of not only of the Russian but also the international scientific community.